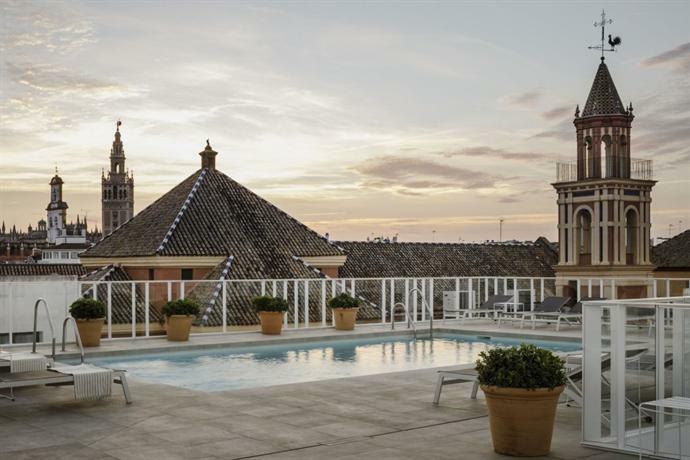 Located on the 4th floor of the Hotel Fernando iii Seville the outdoor rooftop pool offers skyline views of Old Town Seville. The seasonal pool features wicker sun loungers, a stone tile pool deck, large shade umbrellas, and glass railing for unobstructed views. The pool is seasonal and is open between the months of June and September.